On September 21, The Kohala Center, a Hawaiʻi island-based nonprofit, and Hawaiʻi Public Radio launch a 13-week original radio series entitled “Aloha ʻĀina.” The series, comprised of 65 approximately two-minute segments, explores the roots and historical endurance of the values of aloha ʻāina, commonly translated as “love of the land.” Commentary is provided by noted Hawaiian scholars and leaders, such as Puanani Burgess, Sam ʻOhu Gon, Davianna McGregor, Jonathan Osorio, and Walter Ritte. The series is researched, written, and narrated by Julia Steele. On Monday, September 14, Hawaiʻi Public Radio launches a weeklong series bringing national perspective to our state's homelessness problem. On the talk program The Conversation (airing on HPR-2, weekdays from 8 to 9 a.m.), guests who have addressed the issue in their own cities, as well as across the country, will offer context and comment on Hawaiʻi's current status. Hawaii Public Radio’s newsroom was recognized today by RTDNA (Radio Television Digital News Association) with two 2015 National Edward R. Murrow Awards. 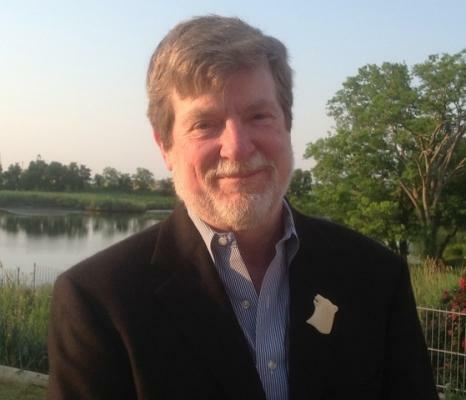 Neal Conan, longtime public radio journalist and the final host of NPR's daily call-in show "Talk of the Nation," has become a regular contributor to Hawaiʻi Public Radio’s news department. His reports, called "Pacific News Minute," started on June 8th. They will focus on his area of expertise, stories of political or military developments in and around the Pacific Rim. Residents on the west side of Hawaiʻi island can now receive a clearer and more reliable signal when tuning in to Hawaiʻi Public Radio’s news magazine and classical music station. 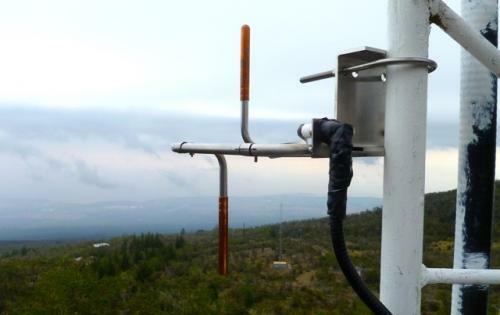 The new HPR-1 signal began broadcasting on May 10 on K239BV Waimea, 95.7 FM, from an antenna on Kaloko Mountain, 5000 feet above Kailua-Kona. Prior to this installation, HPR-1 was only available to West Hawaiʻi via KKUA 90.7, which also serves Maui, Molokaʻi, and Lānaʻi. That transmitter site at Ulupalakua Ranch on Maui is about 95 miles to the north of Kailua-Kona. (ʻOʻōkala and Honolulu, Hawaiʻi) The Hawai‘i Forest Institute (HFI), in partnership with the Hawaiʻi Forest Industry Association, recently launched its MAHALO ʻĀINA: Give Back to the Forest Initiative to gain support for the protection and perpetuation of Hawaiʻi's forest resources. Starting this month and continuing for 26 weeks, Hawaiʻi Public Radio (HPR) airs the Mahalo ʻĀina radio series to broaden community awareness about the importance of perpetuating Hawai‘i’s forests. 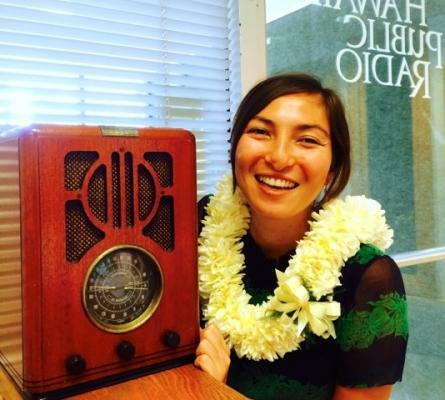 Ten and a half days after the start of its spring fund drive, Challenge 2015, Hawaiʻi Public Radio reached the campaign’s goal of $998,000. After the last pledge call was received on Saturday, April 25, at 12:02 p.m., the final tally exceeded the goal by $766. Including contributions made in the weeks prior to the on-air drive, there were a total 4,093 unique gifts, with 33 per cent of donors enrolling in the monthly giving program HPR calls “Sustaining Membership.” Neighbor Island members represented approximately one-third of the pledges received.